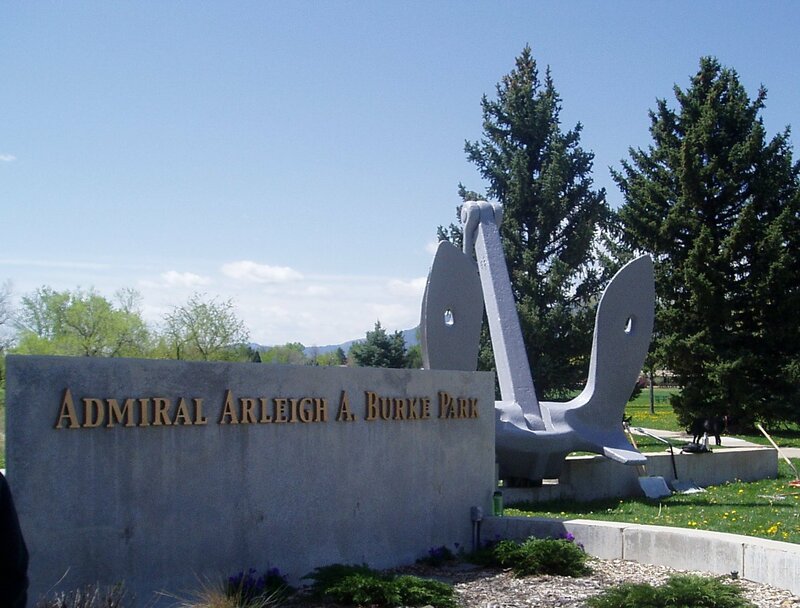 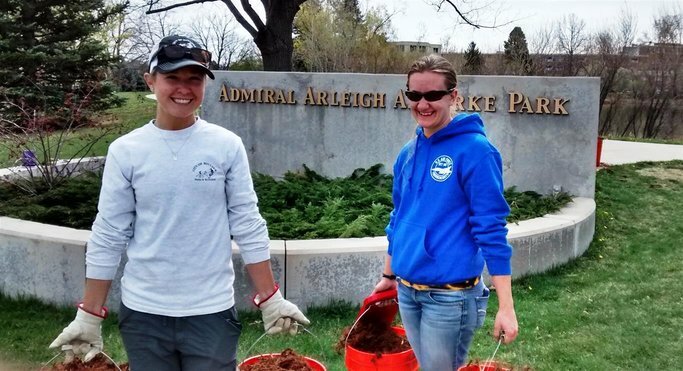 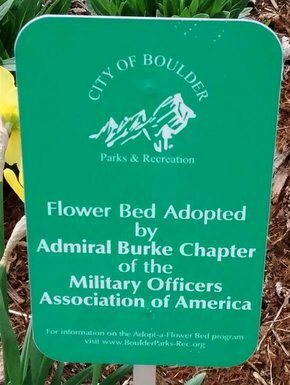 The Admiral Arleigh Burke Memorial Park is located in Fraser Meadows at the intersection of Mohawk and Pawnee Drives in Boulder, Colorado. 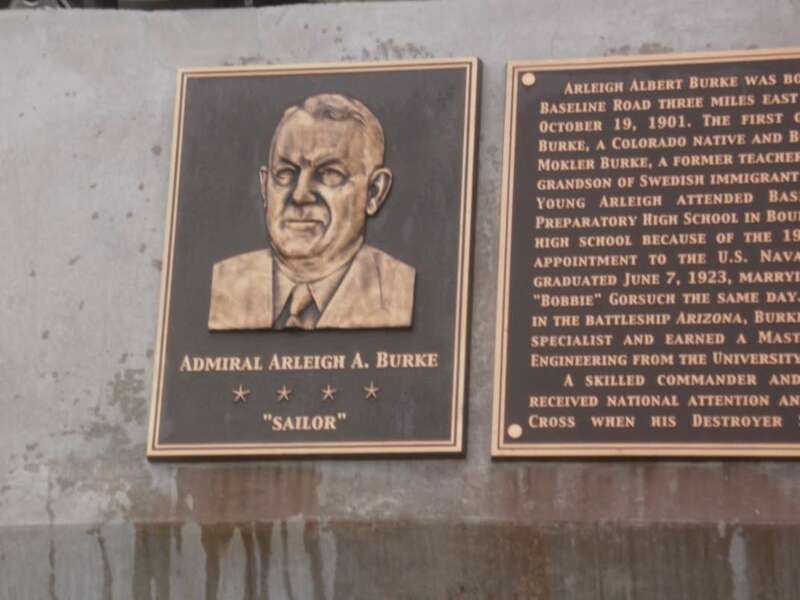 For information on Admiral Arleigh Burke, a Boulder native, left click here. 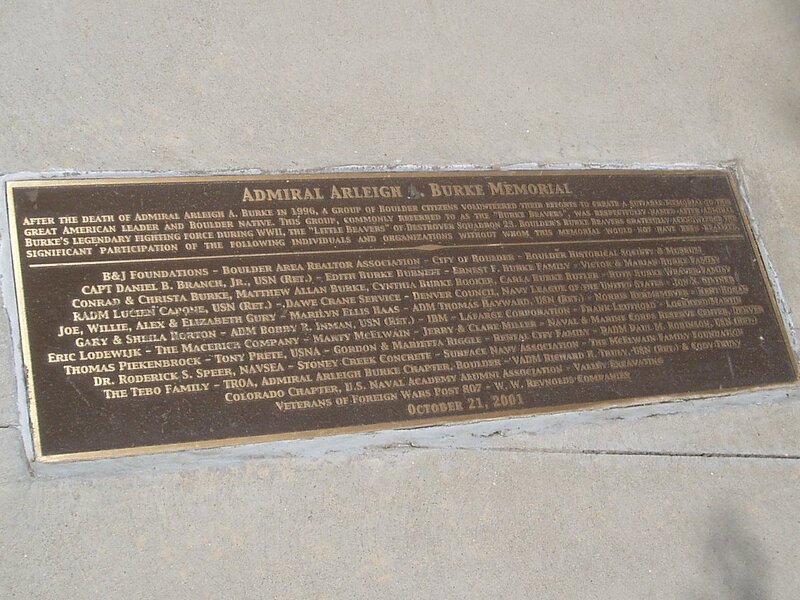 AABC-MOAA was instrumental in establishing the memorial which is located in the Park. 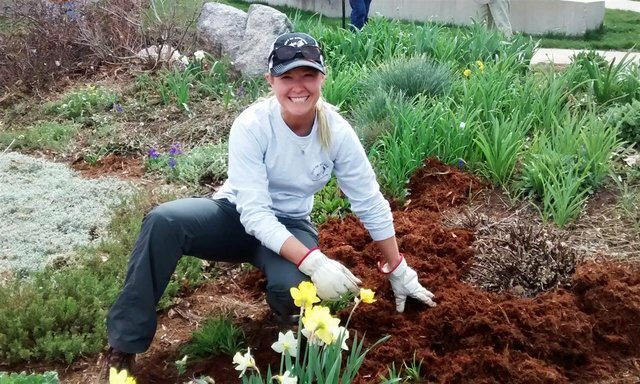 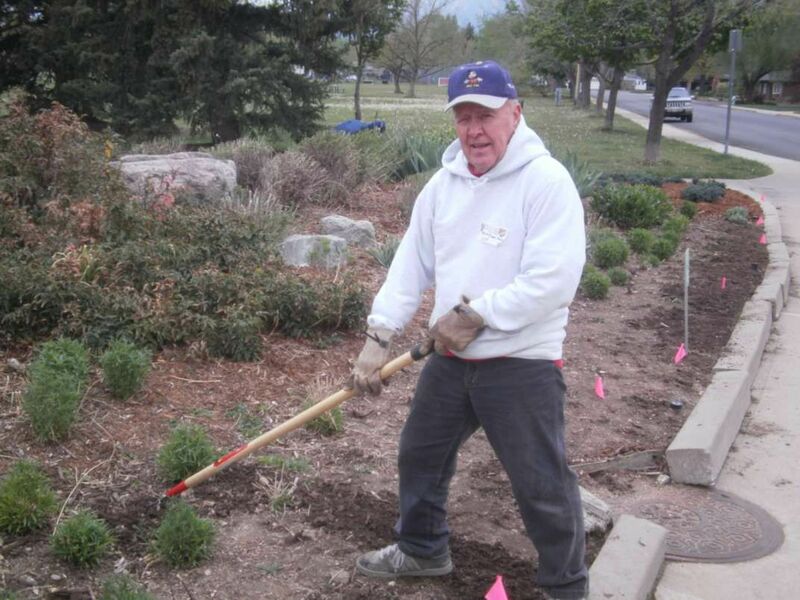 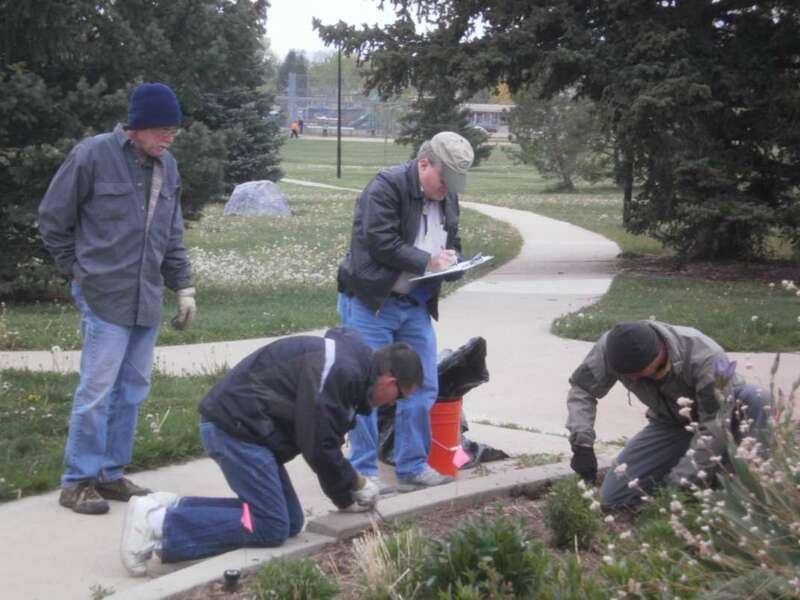 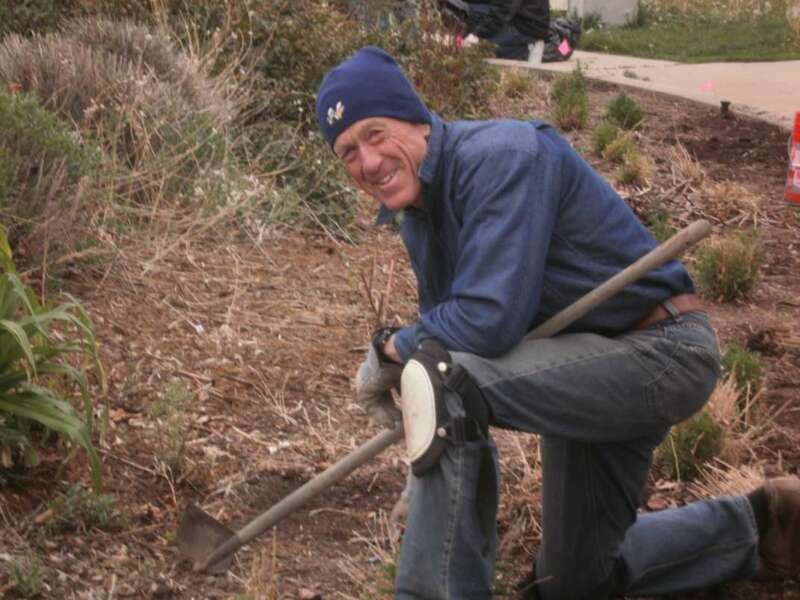 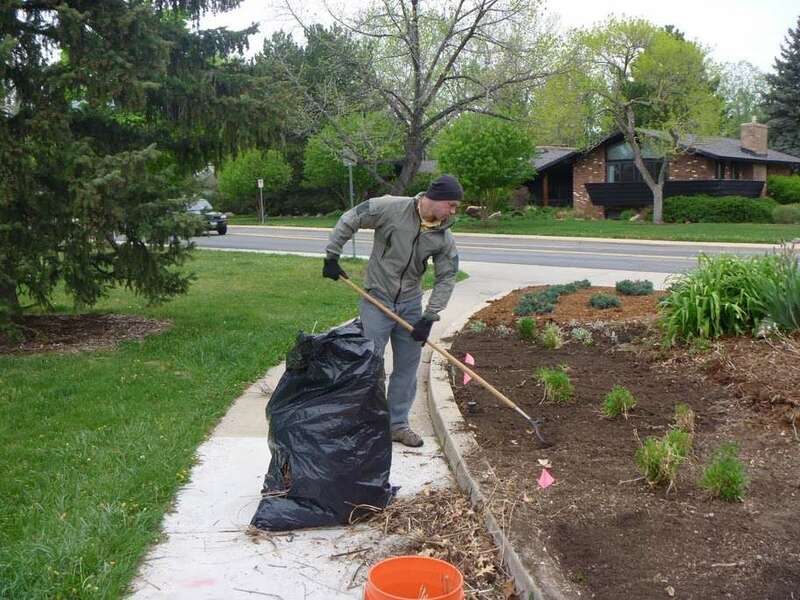 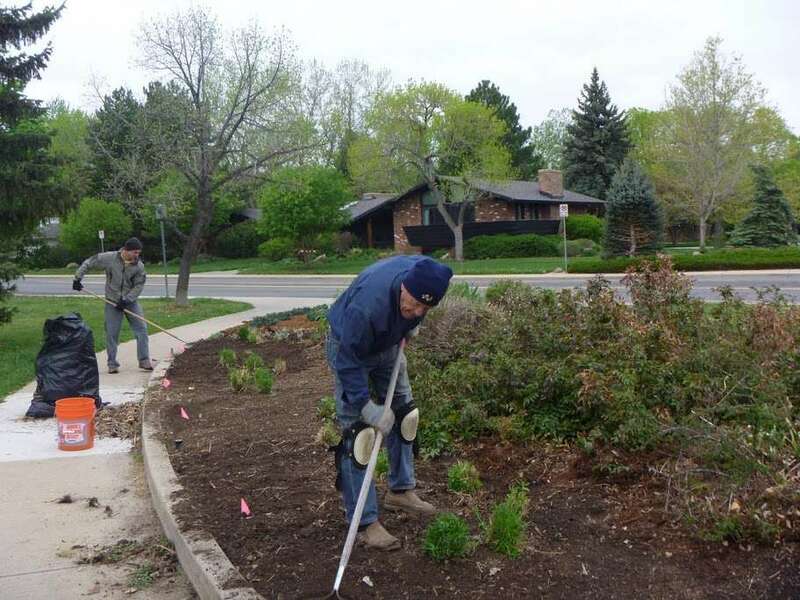 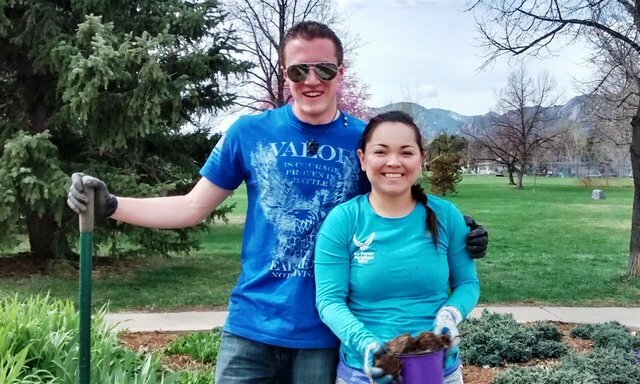 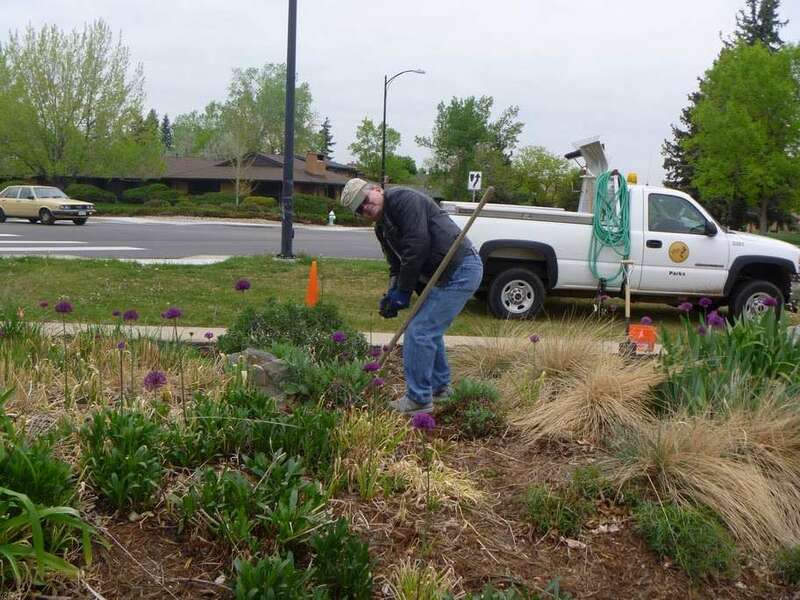 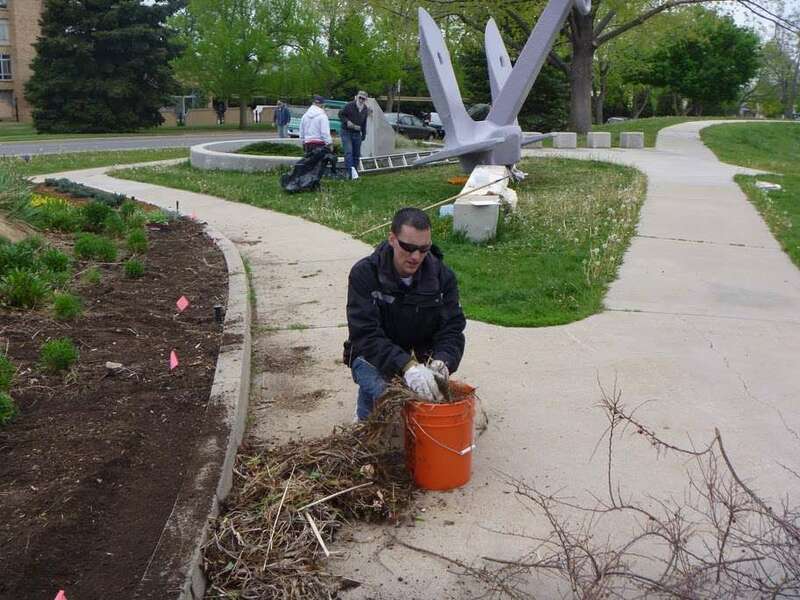 AABC members assist in maintaining the grounds around the Memorial when needed. 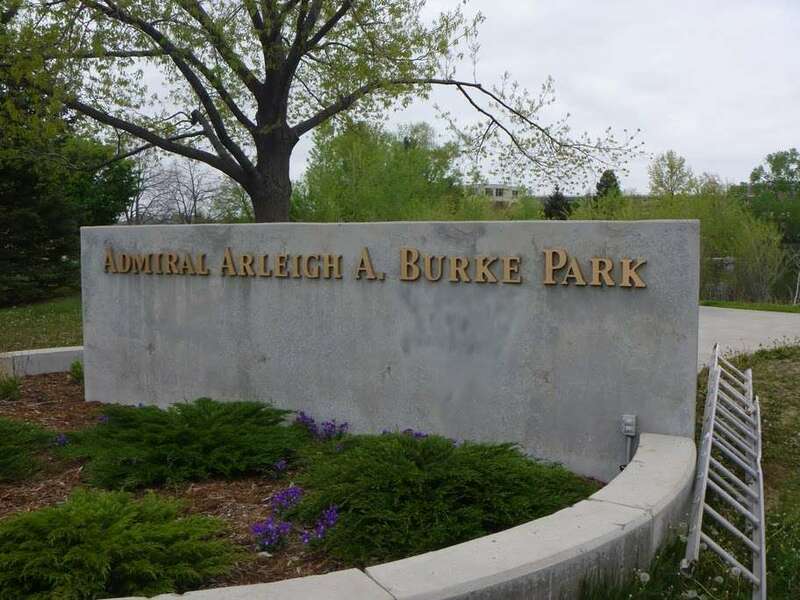 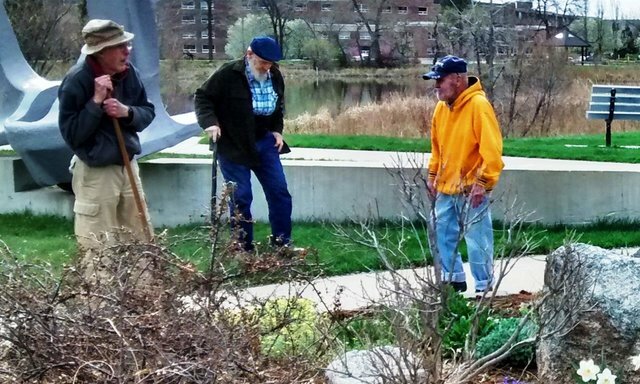 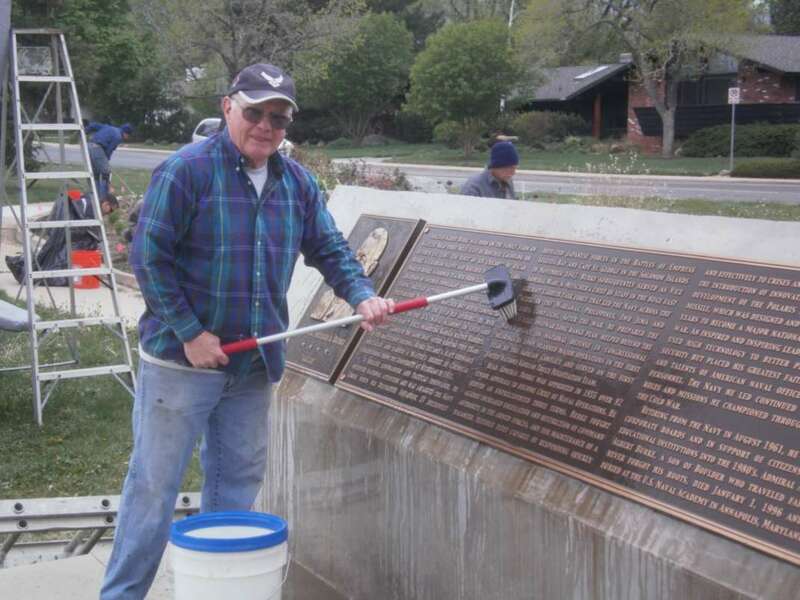 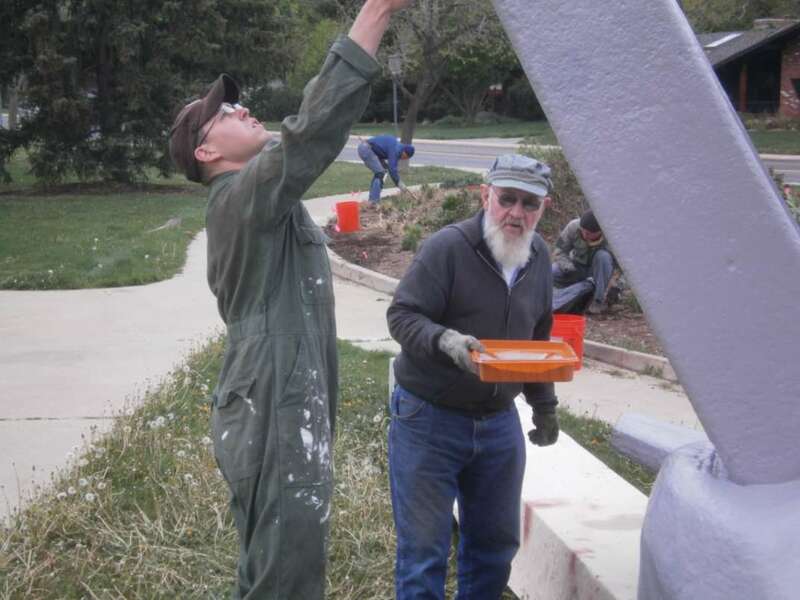 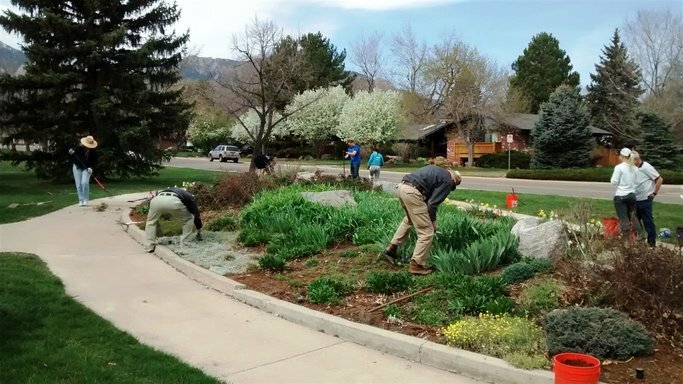 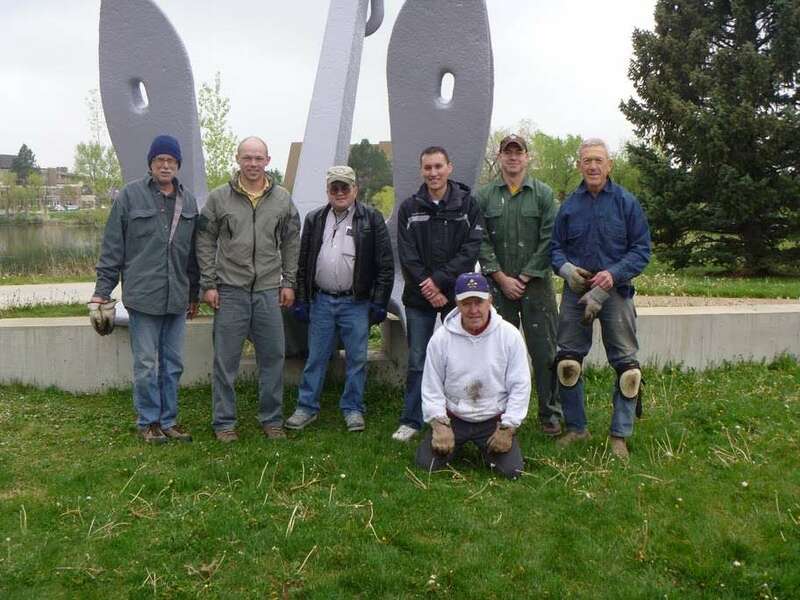 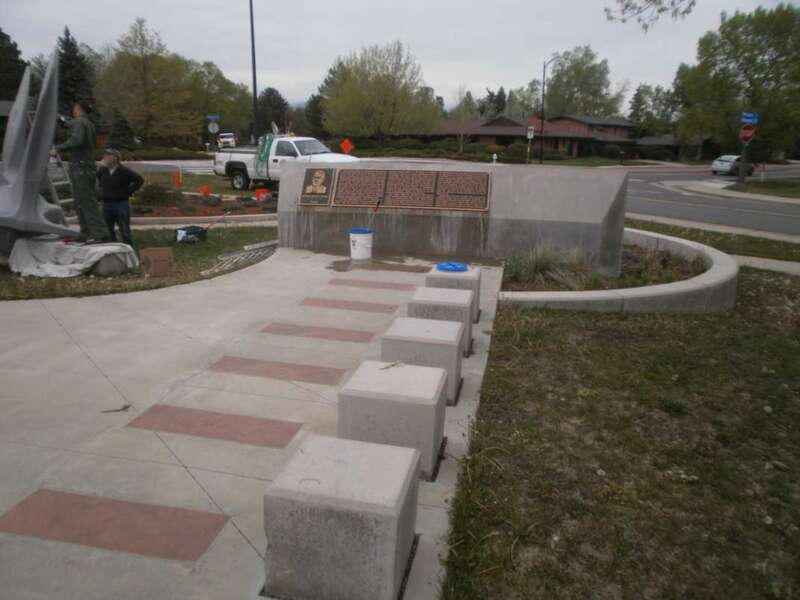 Immediately after our May 14, 2011 Business Meeting, Tom Hodgson, David Lovering, Fred McFarland (work party leader) and Ralph Burke along with several men from the CU Enlisted To Officer program, turned to with a will and spruced up the Admiral Arleigh Burke Memorial. 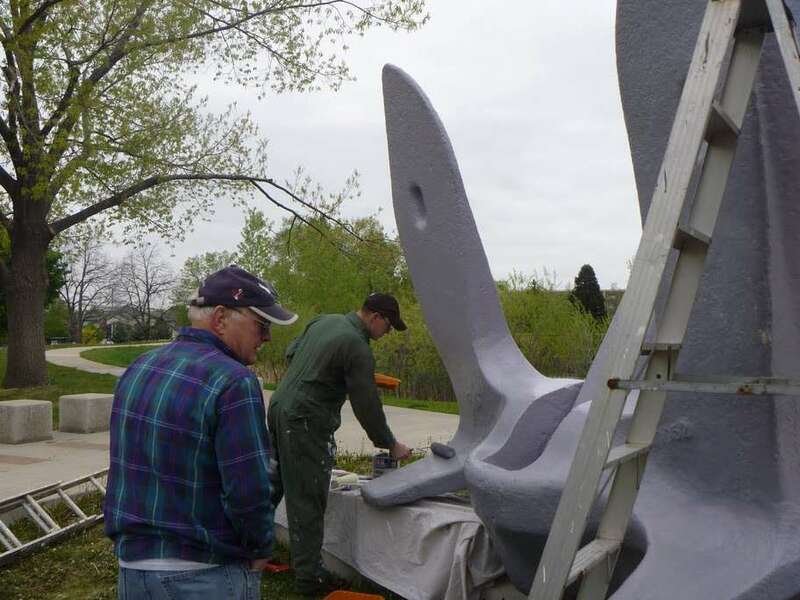 They planted flowers, scrubbed the plaques and painted the anchor. 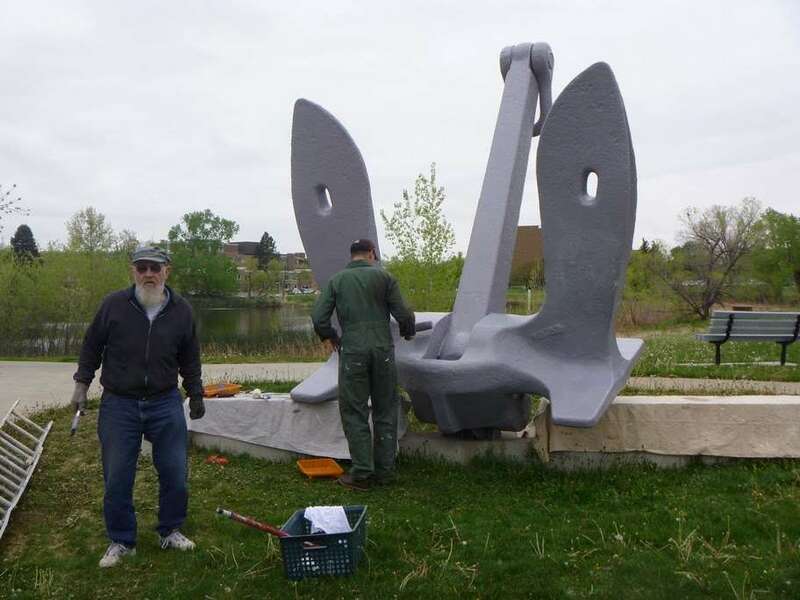 All hands agreed, "Job well done" or in Navy parlance, "Bravo Zulu".